University of Houston-Clear Lake’s Center for Executive Education is offering the course, “Strategic Utilization of Leadership Skills” where directors, managers and supervisors can define and create a leadership development plan and strategies to grow their skills. The two-session course is part of the center’s Management and Leadership Certificate Program, held Nov. 9 and 30 from 8 a.m. – 4 p.m. at the university, 2700 Bay Area Blvd., Houston. The fee is $850 for the two sessions; students must attend both sessions to receive credit. Students who register must have already taken MLCP 101 Effective Application of Supervisory Techniques. To register or for more information, visit www.uhcl.edu/center-executive-education/center-services. On Nov. 10, area educators can choose between two seminars hosted by University of Houston-Clear Lake’s Center for Educational Programs. Both seminars are 9 a.m. – 4 p.m. in the Arbor Building, 2700 Bay Area Blvd., Houston. Teachers will learn strategies incorporate creativity into their daily classroom instruction in the seminar “20 Ways to Infuse Creativity in the Classroom.” Please bring a laptop or tablet with you. The session is $85. Science teachers can earn how to incorporate Makey Makey, an interactive inventor kit, into engaging lessons in the classroom. Makey Makey is a collaborative project that encourages people to find creative ways to interact with their computers by using everyday objects as a replacement for keyboards and mice. The course fee is $100, and space is limited. To register or for more information, visit www.uhcl.edu/education/centers-initiatives/center-educational-programs/professional-development. 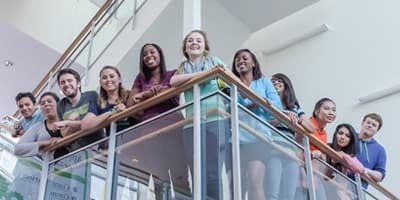 Learn a new language and get personal attention from expert teachers in University of Houston-Clear Lake’s non-credit Foreign Language Program. Small classes and private tutoring are available for Spanish, Chinese, German, Japanese, Russian and more. Registration is Nov. 10 through Jan. 21, 2019, for classes that begin Jan. 22. To learn more or to register, visit www.uhcl.edu/academics/extended or call the Foreign Language and English Enhancement Program, 281-283-3033. Explore UHCL’s new Recreation and Wellness Center and STEM and Classroom Building, meet advisers and faculty and get answers to your questions at UHCL Open House beginning at 11 a.m. on Saturday, Nov. 10, 2700 Bay Area Blvd., Houston. Friends and family are welcome to enjoy music, campus tours and fun activities. Admission application fees will be waived for those who apply during the event. On-the-spot admissions decisions are offered for transfer and graduate students with all required documentation. 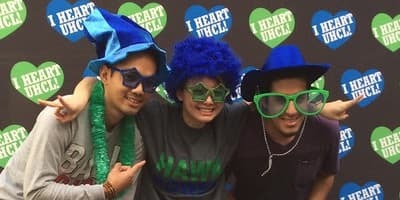 Future MBA students are invited for a special mixer to learn more about UHCL’s MBA degree program during the event. 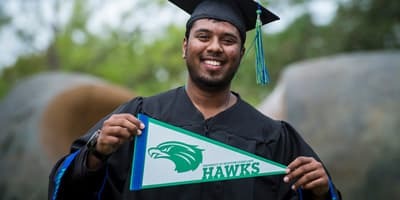 For more information, or to register, visit www.uhcl.edu/open. To arrange for a large group or an accommodation for a disability, contact the Office of Admissions at 281-283-2500 at least one week prior to the event. Award-winning bilingual artist Gina Chavez brings her high energy, Latin musical style and pop vocals to University of Houston-Clear Lake’s Bayou Theater on Nov. 10, 7:30 p.m. The Austin-based singer will perform songs for her newest album, “Lightbeam,” which explores love and faith. Tickets are $20 for adults and $13 for students. To purchase or for more information, visit www.uhcl.edu/bayou-theater/events-tickets. University of Houston-Clear Lake is developing a free training on “Heat Illness Prevention” for small to mid-size companies in construction and general industries. The program is made possible by a $114,000 grant from the U.S. Department of Labor’s Occupational Safety and Health Administration. “Given the high number and rates of heat-related hospitalizations and fatalities in Houston, these training activities will serve to address a much-needed gap in outreach and worker training,” said UHCL’s Robert Phalen, associate professor of occupational safety and health. Phalen and Magdy Akladios, professor of occupational safety and health, will develop and administer the training program. Working with the Houston Contractors Association and Gulf Coast Safety Institute, UHCL hopes to reach underserved and minority businesses with trainings in English and Spanish. This is UHCL’s second $114,000 OSHA training grant. Akladios and Phalen are also administering a training program aimed at preventing injuries from falls on construction sites. Free trainings on fall protection are ongoing through December. For current dates and registration, visit www.eventzilla.net/user/UHCL. For questions about either program, contact Phalen at 281-283-3753 or phalen@uhcl.edu. The trainings and materials were produced under OSHA grant SH-31228-SH7. It does not necessarily reflect the views or policies of the U.S. Department of Labor, nor does mention of trade names, commercial products, or organizations imply endorsement by the U.S. government.